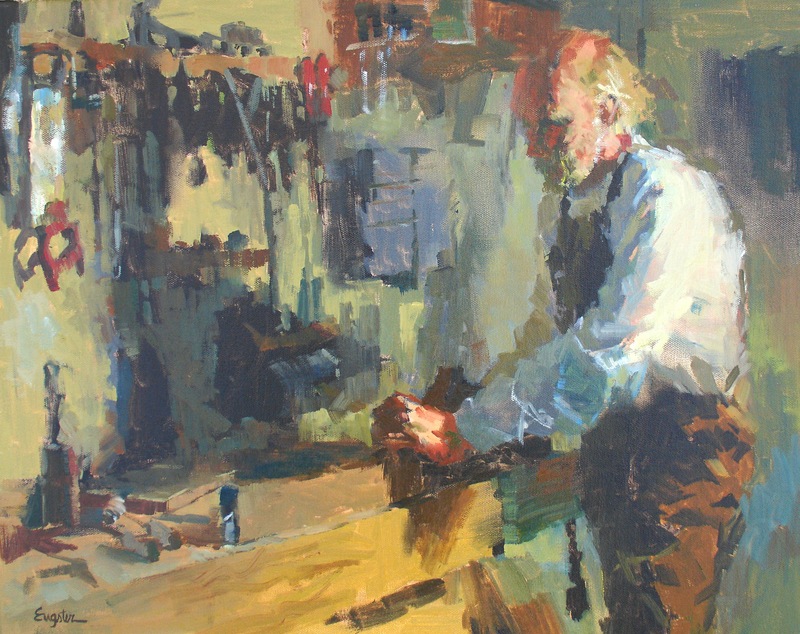 This painting, which was done by my wife, captures my attitude towards the craft and art of woodworking. Designing and planning a project and then watching the progress as hands and mind work together to take that design from my thoughts to reality gives me great satisfaction. 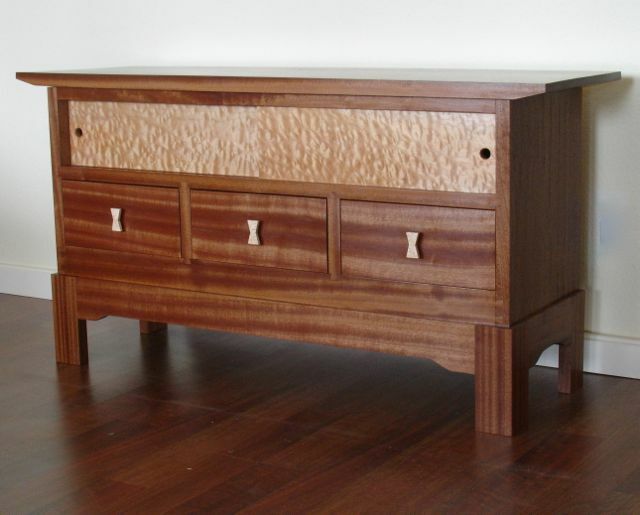 For over 30 years, making custom, one of a kind furniture pieces has been a passion of mine. Since retirement in 2008, after 31 years in the classroom, this has become my full time endeavor. I invite you to click on the portfolio pages on the menu above to see examples of work I have done. Commissions I have done range from totally utilitarian pieces to those I where I’ve been given artistic license to create functional art. Function, paired with beauty, is always a consideration. A common thread that runs through my work is traditional joinery, hand planed surfaces, and hand rubbed, oil finishes. The juxtaposition of domestic and exotic wood species is a method I use to bring out and showcase it’s natural beauty. Client input has always been a valued component of my design process. My goal is to create quality work that will exceed expectations and last for generations. If you have a project that you’d like to discuss with me please select the contact form from the menu bar. I’m located in Phoenix, Arizona and am always looking for that challenging project you may have in mind! Custom woodwork designed to fit your specific needs is the type of work I never tire of. I received my degree in Industrial Arts from San Francisco State University and taught basic wood shop classes. 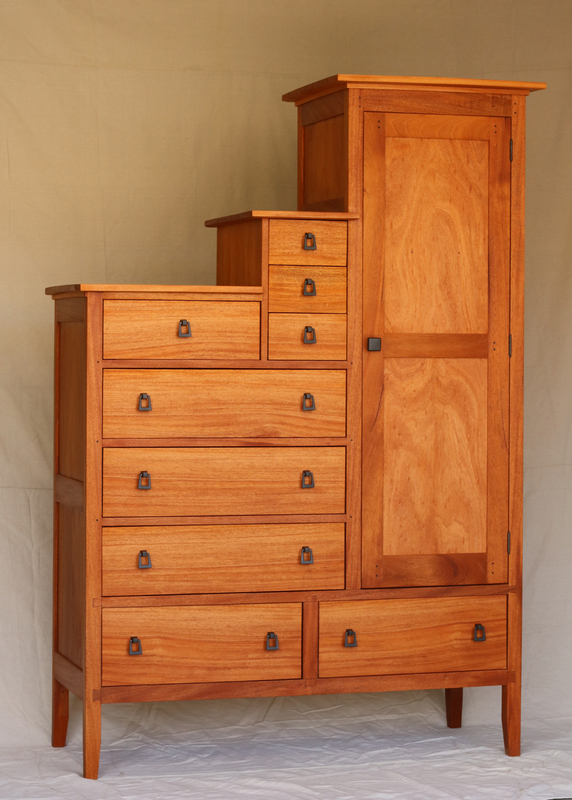 My pursuit of becoming a studio furniture maker is primarily self taught. I’ve taken workshops from Garrett Hack in design, Frank Klaus in joinery, and Barbara Carter in water gilding, as well as others. I believe that once a person has the basic understanding and skills of how to do something then learning by trial and error is a great teacher. I’m constantly motivated to push myself to the limit and create work that is both beautiful and fulfills its purpose. 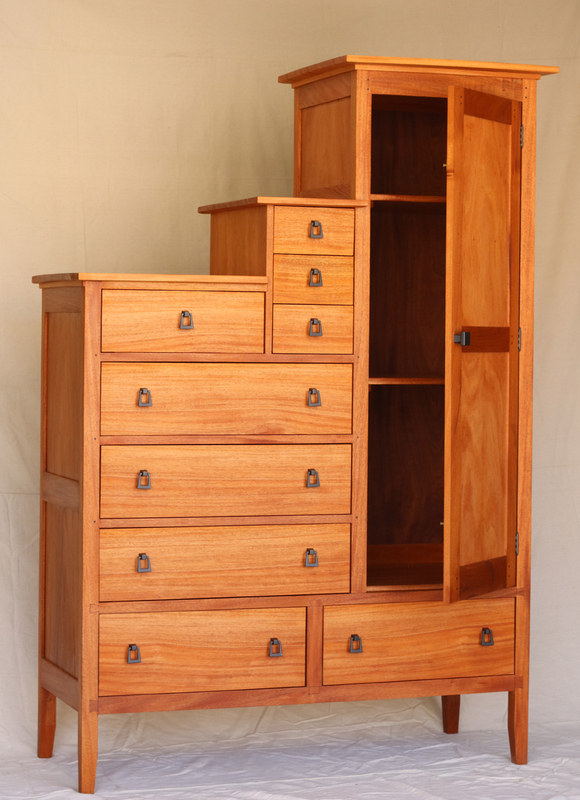 Please visit my Woodworking Portfolio page to see images of my previous work. I have been represented by the Willow Gallery in Scottsdale and the Gallery at Summerlin in Las Vegas. Over the past couple of years I’ve also entered the Design in Wood competition sponsored by the San Diego Fine Woodworkers Association. They awarded me with an Honorable Mention twice out of the 3 times I’ve submitted work. Being recognized for my work is an honor I don’t take lightly and one I humbly share with you here. These are presented with the most recent first. Since moving to Phoenix over 2 years ago, my work has developed and I’m always pushing the boundaries and challenge myself. There is a form of traditional Japanese woodwork called Kumiko. 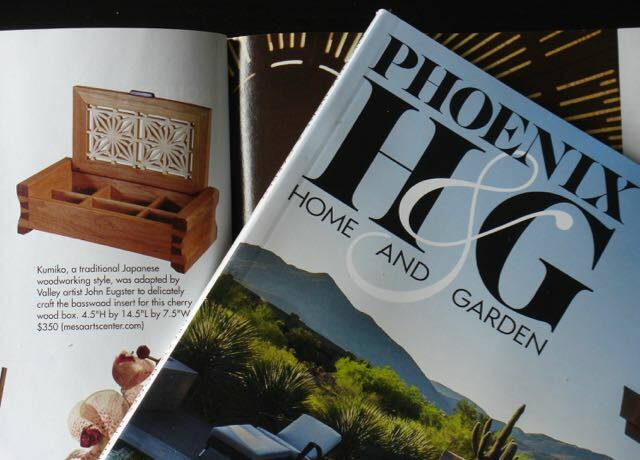 I’ve begun to incorporate it into the lids of boxes and was recently recognized for it in this story published in this magazine. 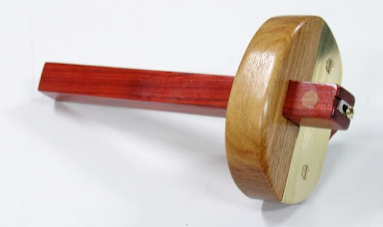 I had an interesting email recently requesting a telephone interview for Woodworkers Journal. Had a good half hour talk with the editor, Joanna Werch. Follow this LINK to that interview. It was published in the October 25, 2016 issue of Woodworkers Journal. She asked permission to take pictures from my portfolio and blog, I think she did an outstanding job selecting work that truly represents me. Since I purchased the wood for my originally designed project, John’s Armoire from Woodworkers Source in Arizona it was obvious to send them the results of it. I was honored to have it selected as their project of the week! Here is a LINK to that newsletter. 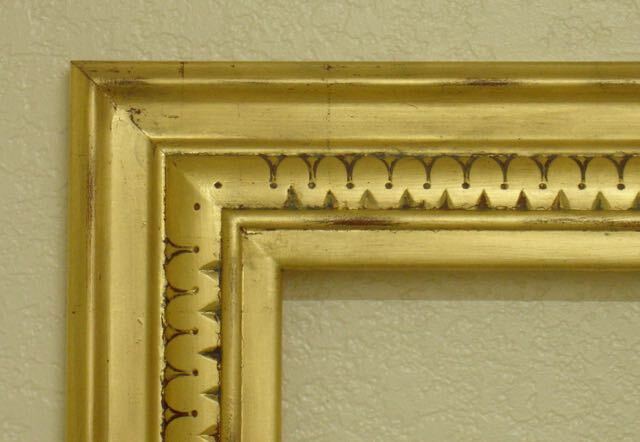 This piece was also recognized in their peoples choice contest held by Horton Brasses, the company the hinges for this piece came from. That earned a $100.00 gift certificate! This project is one that has been in my mind for a very long time. From crude drawings on napkins and scraps of paper the design of this armoire developed over time. Definitely a major project requiring several hundred hours of work and once completed I decided to see if my work could be juried into the Reader’s Gallery of Fine Woodworking Magazine. What a thrill, the magazine published my work in issue 254. Being the major project that it was there are many blog posts on it’s creation, they can be found through this link: https://woodworksbyjohn.wordpress.com/wp-admin/edit.php? I entered my Asian inspired entertainment unit into the Design in Wood competition in 2014 which was recognized with an honorable mention award. The wood was purchased from Woodworkers Source in Arizona. They featured this cabinet in their October 8 newsletter. Here is a LINK to that newsletter. Highland Hardware is a nationally known supplier of woodworking tools, hardware, and other items located in Atlanta, Georgia. They publish a monthly newsletter and ask for submissions from the woodworking community. I had made my own marking gauge and decided to submit an article about its construction to them. I was honored to have them select that for their newsletter, here’s a LINK to just that article from the newsletter. If you’d like to see the full series of how this marking gauge was designed and built here is a LINK to the blog I did of it on my previous Blogger platform.